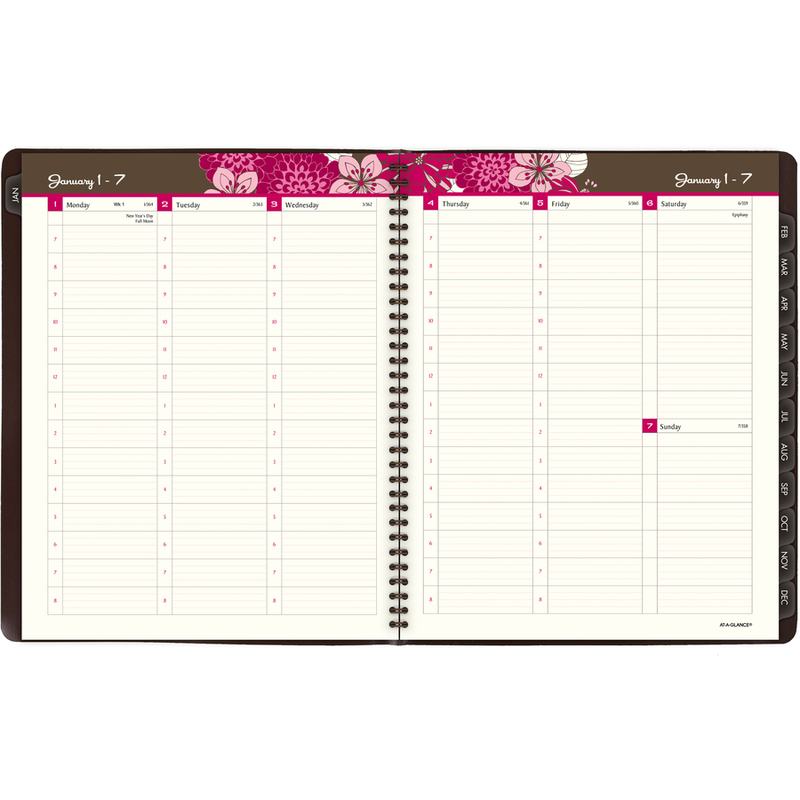 Weekly/monthly appointment book offers soft colors and a whimsical design of stylish paisleys to smooth out your scheduling and planning. 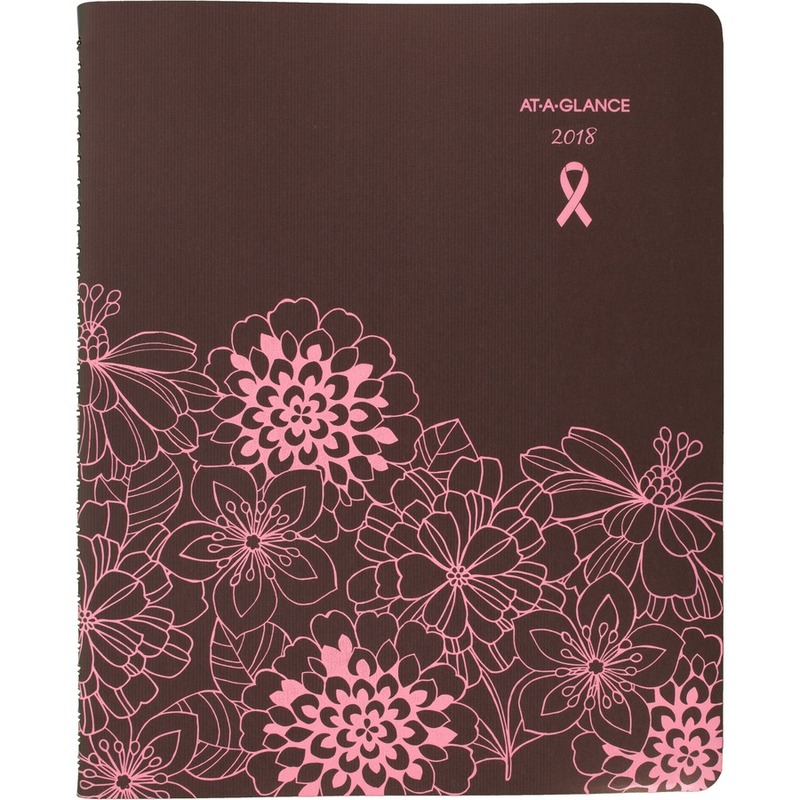 This planner also supports the battle against breast cancer with part of its proceeds being donated to the nonprofit City of Hope for breast cancer research, treatment and education. Dated planning pages range 12 months from January to December. 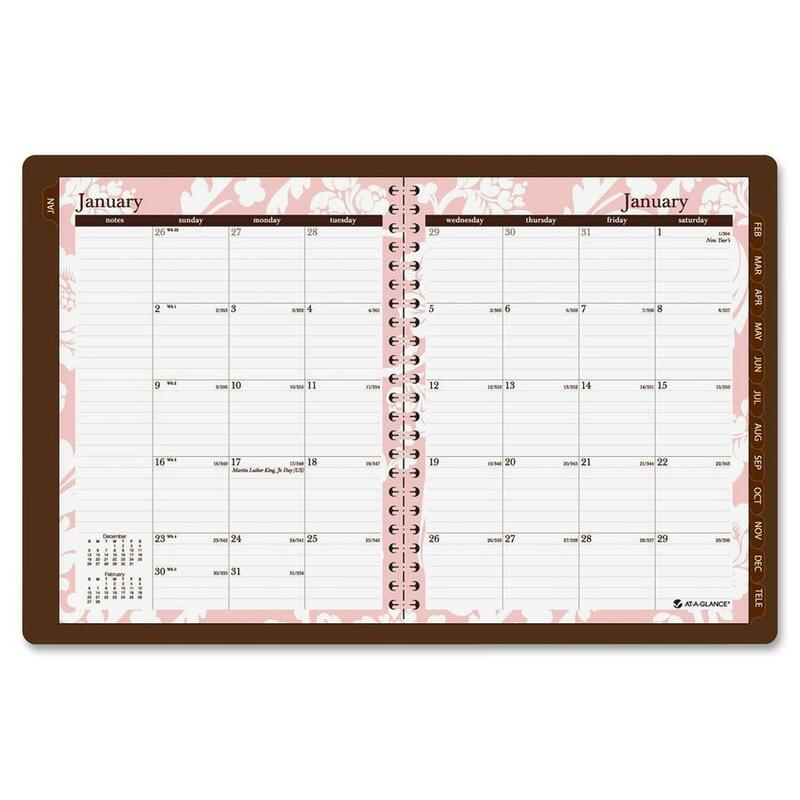 Two-page-per-week spreads include daily columns, hourly appointment times from 7 AM to 8 PM with quarter-hourly slots on weekdays, Monday-through-Sunday scheduling, and count of days/days remaining. 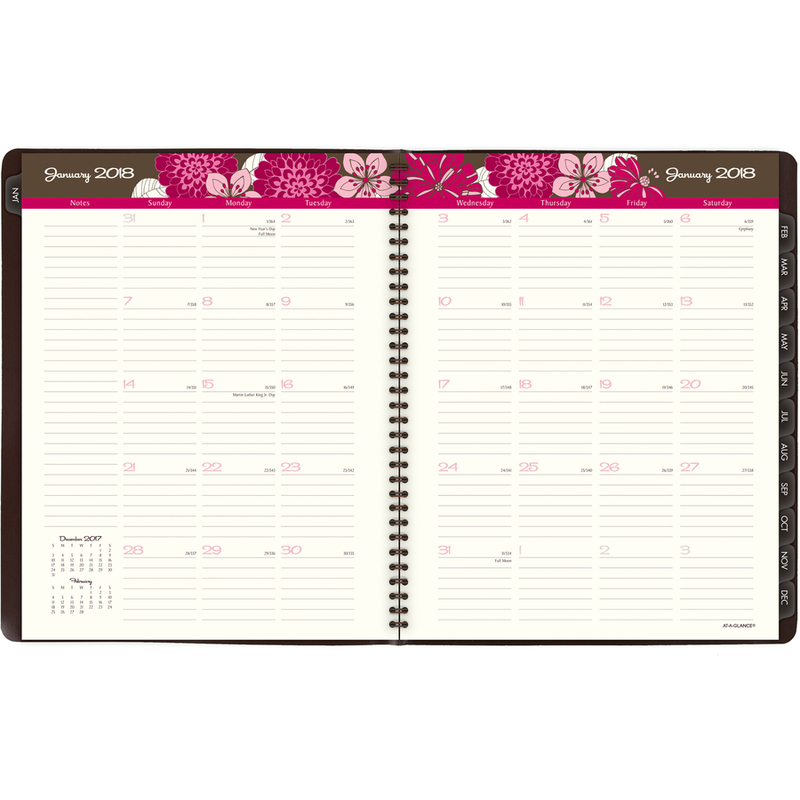 Tabbed monthly overviews include ruled daily blocks, Sunday-through-Saturday scheduling, a notes column, count of days/days remaining, holidays, and past and future months reference. 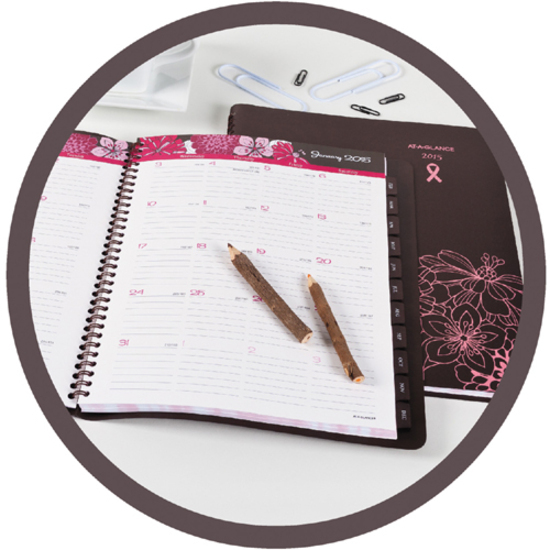 The Sorbet wirebound planner also features a subtle metallic cover and is nonrefillable. 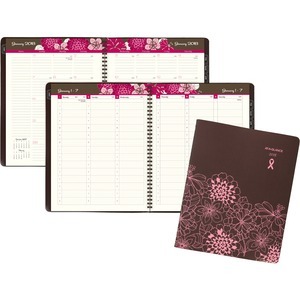 Planner is made with vegetable-based inks and post-consumer material.